From tripod wooden floor lamps to the old-style floor lamp, these wooden floor lamps are perfect for a reading corner or a bedroom. They diffuse a pleasant, dimmed light thanks to their shades. Their resolute style provides a feeling of serenity and tranquility that adapts with ease to Scandinavian-style interiors. Not far from a contemporary armchair and a solid wooden bookcase, you can make yourself a pleasant cocoon for spending moments of relaxation and reading. 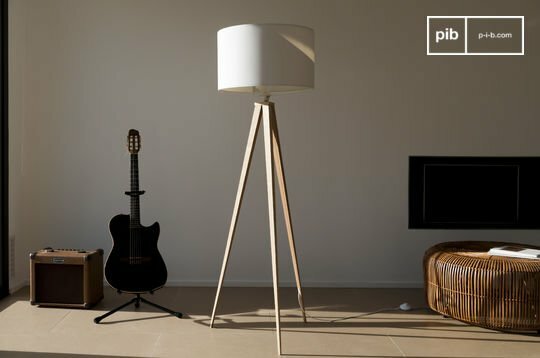 Do you need to light one specific corner of a room? Wooden floor lamps will fulfill their function while bringing style to your decor! 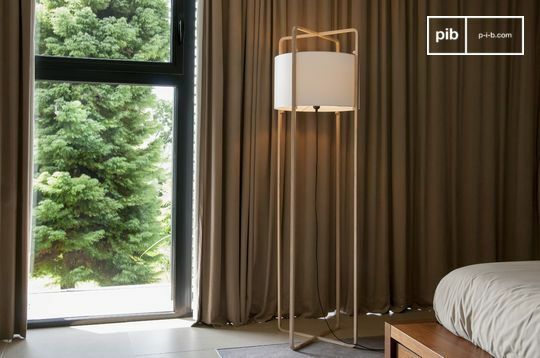 Our wooden floor lamps are able to illuminate a room whilst providing a natural touch to your decoration. With a light, untreated wood, you will have a light and airy space, which you can combine with a fabric sofa or piece of modern furniture. 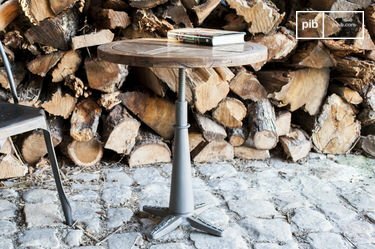 A very popular item, the tripod desl or floor lamp is inspired by Scandinavian design and has been, progressively, integrated into many interior styles. 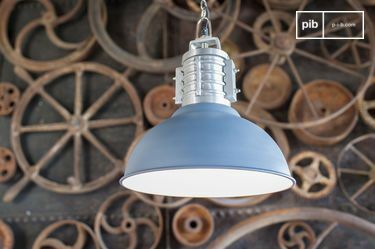 Depending on the shape and colour of the shade, you will have no trouble installing it in a retro or contemporary interior. In addition to its aesthetic appearance, remember that wood is a noble material which guarantees solidity. Its timeless style allows it to remain interesting in the long term, while the varnish protects your lamp from wear and tear. 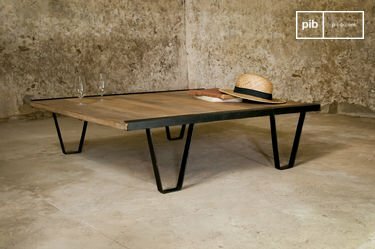 Very popular with designers, wood is used to create original pieces. 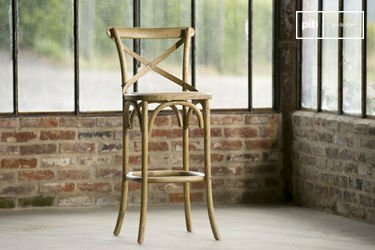 Whether it's in terms of shapes or styles, you can easily find a model that you like. Also keep in mind that the lampshade shape will play a role in the atmosphere created. Do you prefer wooden floor lamps with a straight and refined shape, or a shabby chic floor lamp instead?